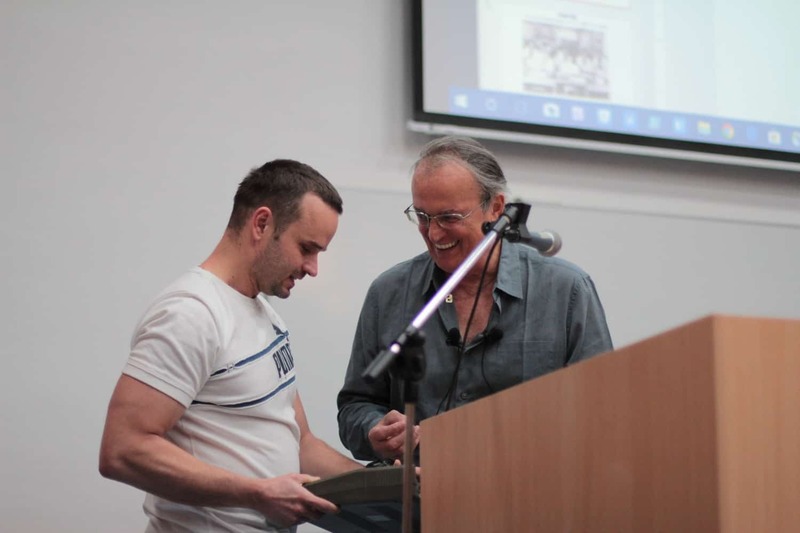 At the end of November 2017, a very special talk took place at Banská Bystrica’s Matej Bel University. 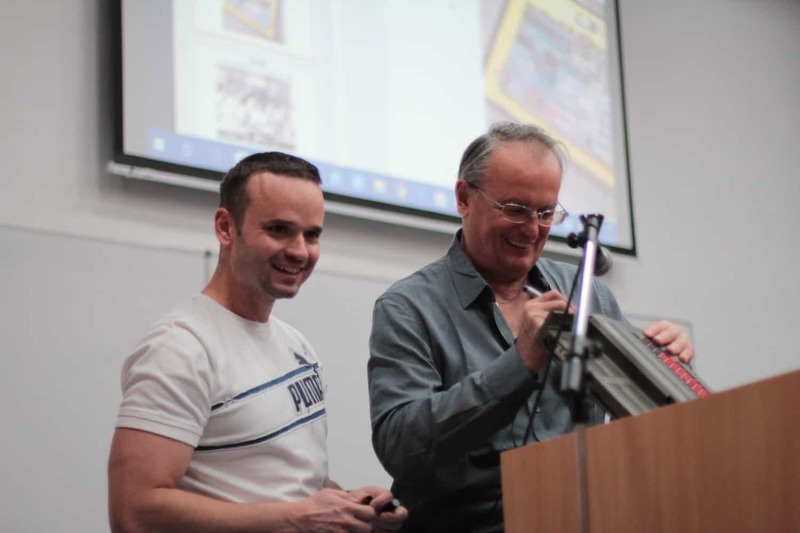 Within the broader “Extrapolations and the Scientific Colloquium” program, a lecture featuring the legend of Czechoslovak computing and father of the PMD-85, Roman Kišš, took place. Why is he a legend and why was it a must for me to see him talk, even though I only received the invitation for the event three hours before its launch? Roman Kišš is the inventor of the most successful Czechoslovak computer of the 1980s, the PMD-85. He has also developed its Didaktik Alfa clone. In case you attended an elementary or secondary school, or the youth Pioneer organization in 1980s communist Czechoslovakia, you definitely must have had a close encounter with a PMD. 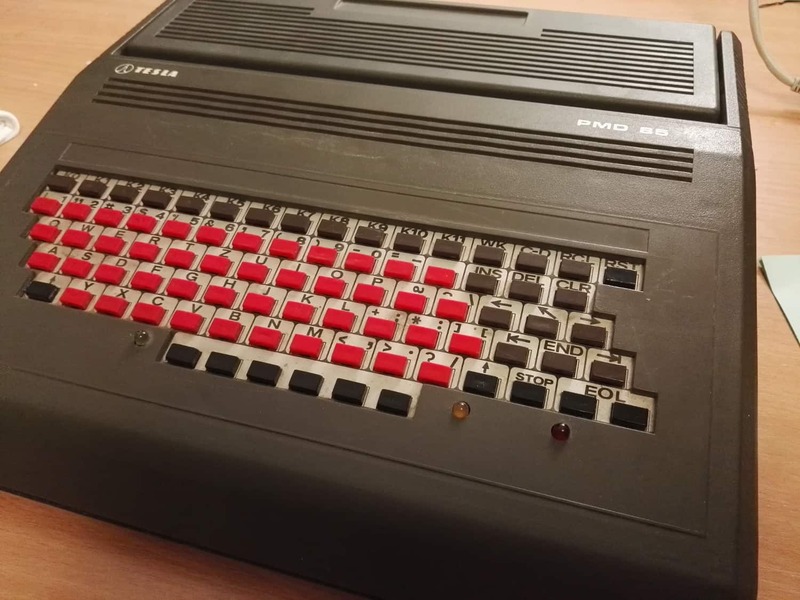 An 8-bit computer, built by Tesla Piešťany using the MHB 8080A processor, it was a clone of the Intel 8080. With 48KB RAM and 4KB ROM, it was considered ahead of its time. In spite of consisting of low-quality components, its performance was unmatched. My first ever experience with a computer in the 1980s, was with a PMD. Roman Kišš’s work, from a technological point of view, was on par with what Jobs and Wozniak had done in the US. When I had the chance to go see Mr. Kišš’s lecture, I could not have refused. Nostalgia, curiosity, and the almost mystical aura encompasses his personality. I was mainly curious about the PMD-85-focused segment. During the first segment, Roman Kišš discussed how things worked in communist Czechoslovakia (or, how nothing worked). Stores had no supplies, nothing was in stock and anything you were able to lay your hands on was either rubbish, or stolen from somewhere. Mr. Kišš talked a lot, but, unfortunately, not enough about technicalities regarding the PMD. He discussed organizing his work, research and people, which was of great value to me. He talked for over an hour and even though he swamped us with information, it was not even a tenth of what he’d want to say. For me, the main takeaways were three messages that I’ve been thinking about for weeks to come. 01: You need to leave. You’ve outgrown us. When Roman Kišš reached the stage that everybody in Czechoslovakia wanted a PMD, his head of team at Tesla Piešťany had a chat with him. I could immediately imagine a young enthusiast, not really fitting the “zero fails given” environment. The main problem was, that they could not afford to employ him, unless he was supposed to be a department of his own. Without them as his colleagues. Of course, you would not want to employ a colleague who turned everyone into his enemies by achieving something within several months, that others had been struggling with for years without any results. With the money Mr. Kišš had earned for patents and sales of older PMI 80 computers, he was able to put together enough of his own resources, to fund a team of enthusiasts who had helped him with prototyping. What were his objectives? Motivating people with potential and willing to work. He built an exclusive club of co-workers, which a number of people wanted to join. He paid for team buildings in exclusive restaurants, keeping open tabs. Even though, looking back, it might look like PMD-85 was an achievement of an individual, it was, in fact, the achievement of a team. The PMD-85 computer was a proof of concept which needed transforming into a product. Kišš knew this and he did everything that could have been done. He managed to build a team which was much better and stronger than the communist economic model, based on five-year plans, could imagine, even in its representatives’ wildest dreams full of shots fired at Saint Petersburg’s Winter Palace. He’d done everything he could so that the team could continue growing. Taking trainings and improving their education. He had a clear target and kept focused at achieving it. A good team leader keeps his target in the cross-hairs. This sentence came together with an explanation: you can’t be perfect doing both at the same time. You can’t be completely devoted to both your work and your family. One of them will always be sidelined. Mr. Kišš admitted that he didn’t spend enough time with his family as he spent almost all of it at work. This made me think – what has changed compared to the 1980s? Team work is one of the most important soft skills, yet you come out of school without ever having heard of it. We have better access to better information. We have the tools and procedures how to learn better and faster. We’ve got everything we need, but is that enough? Most probably not. Having the means but lacking motivation is worse, than not having the means at all. We primarily need motivation to work hard – this was true then as it is now. However, everything is a matter of scale: do I work hard because I want to improve myself and advance the team, or do I work hard because I always want to be the best? In the first case, you are cooperation-oriented, leaving enough room for both being a good father and a great professional. However, the second case is strongly competitive and leaves room for nothing else; the drive to be the best always needs someone to compete with. And now for the philosophical question: is it better to be a strong member of a strong team which would also be able to thrive without a specific individual, or be the dominant member having a fully dependent team, which, if losing the dominant member, ceases to exist? I’d go for being a strong member of a strong team. As I already mentioned, Roman Kišš spent a lot of his own resources on materializing his ideas. 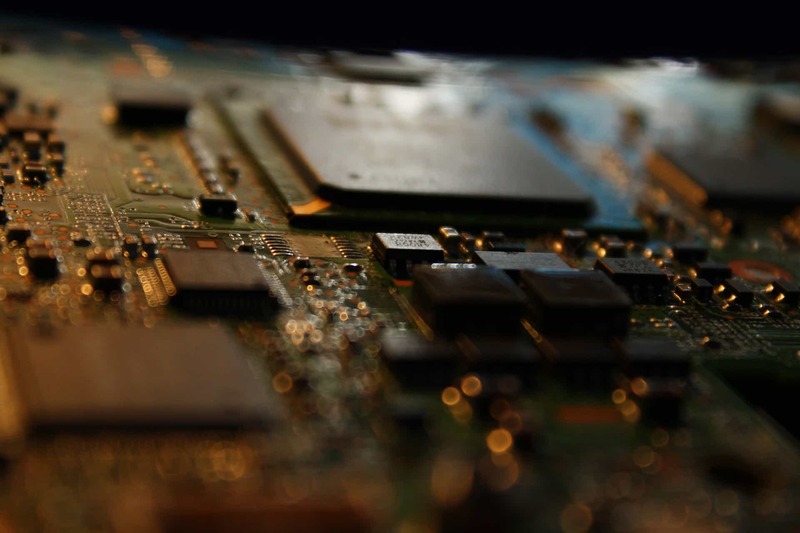 He spent it on people, literature, electronic components, and whatever he currently needed. Making money has never been his goal. As he mentioned, he received only 4 Kčs per each o125 000 pieces sold of the PMDs-85. 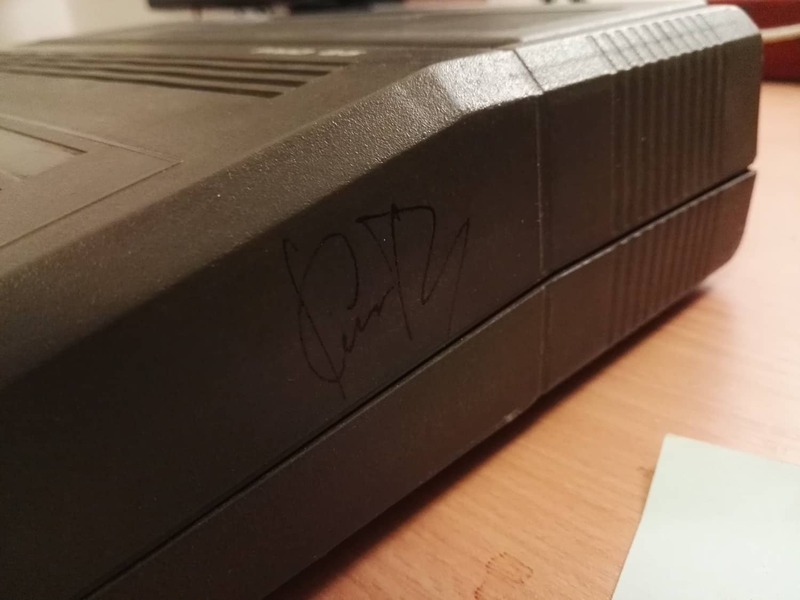 He also earned a little designing the Didaktik Alfa computer for Didaktik Skalica. He’s invested all the funds into moving his projects forward; and to live off during his emigration period in Canada. This was after he had realized, there is no room for hos further growth in Czechoslovakia. Also, no one wanted to employ him any more, but that’s a different story. After relocating to Canada, he had to start from scratch. He’d been doing a semi-legal PhD. This means, he had done everything other PhD students were doing at the university, but without receiving a salary. What was his reward? The professor who led his research arranged that Kišš could attend all the lectures and take all the exams. Almost a normal university study – without receiving a diploma at the end. His motivation was purely about acquiring knowledge. However, he did not hesitate and accepted: after you’ve reached certain skills, no one is interested in what you’ve studied, only in what you know. Your knowledge is the only thing you truly own. Roman Kišš’s knowledge and skills have helped him reach much more net worth than those 500 000 Czechoslovak crowns he spent for his diploma-less studies. Here I have to ask myself: what’s the sum of all my knowledge when Google has an outage? It may be an over-used phrase, yet I truly believe that this gentleman is a living example that everyone should do what they consider meaningful, not what makes them a fortune. Do your best and money will come. The PMD-85 computer is a piece of technology holding a very special place in my life. It’s primarily a personal nostalgia, as it was the first computer I got as a third grader. My father built it from components that he honorably stole, which was the standard way of acquiring most possessions in a socialist economy. I started learning BASIC first, later switching to Pascal at Banská Bystrica Pioneer organization, which was, by the way, located in the same building where PANTHEON.tech has its Banská Bystrica office now. Later on, a second piece was added to my private collection. I took them both to Roman Kišš’s lecture to meet their creator. I got them both signed. And I thanked him for PMD-85 being responsible for my career, for doing stuff that I truly like, for living. Mr. Kišš seemed to be happy, and so am I. Thanks to Mr. Kišš, PMD-85 and my father.